On July 19 1981 President Ronald Reagan met with French President Francois Mitterrand in Ottawa, Ontario at an economic summit. 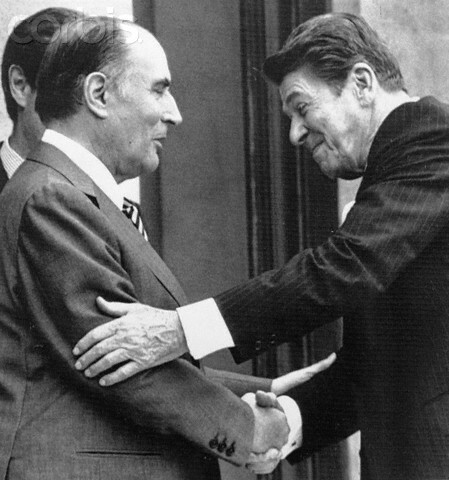 Mitterrand informed Reagan about the “Farewell Dossier”. However, there is a small problem with Saffire’s argument. According to Weiss himself, this operation would have been considered a success no matter the outcome! “If some double agent told the KGB the Americans were alert to Line X and were interfering with their collection by subverting, if not sabotaging, the effort, I believed the United States still could not lose. In the 70s, the Russians were badly trailing Western countries in micro-electronics and computers. Thus the KGB was tasked with the mission to systematically spy on Western R&D programs. Directorate T was created solely for this purpose and its operating branch was named “Line X”. In 1981, Colonel Vladimir I. Vetrov contacted French Intelligence and, over the next couple of years, supplied them with about 4000 documents “LINE X” had obtained. President Mitterrand passed the information to Reagan. A CIA economist, Gus W. Weiss, suggested to William Casey to actually supply the material sought by the Russians. The equipment would be designed to pass initial tests but would eventually fail due to intentionally added flaws. Contrived computer chips found their way into Soviet military equipment, flawed turbines were installed on a gas pipeline, and defective plans disrupted the output of chemical plants . Weiss believed that when historians will sort out the reasons for the end of the Cold War, the “Farewell Project” should receive a well deserved “footnote”. 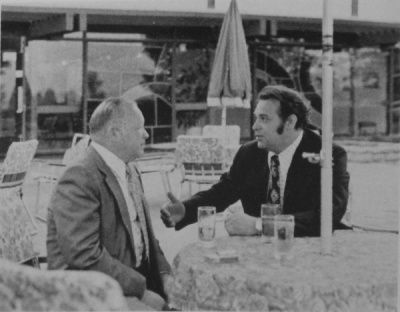 In 1982, Vetrov was arrested and jailed for murder. While in jail, his espionage activities were discovered. Colonel Vetrov was executed in 1983. According to Weiss, the case took a bizarre turn when information on the “Farewell Dossier” surfaced in 1985. 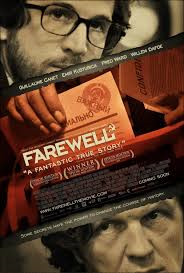 Farewell (French: L’affaire Farewell; literally The Farewell Affair) is a 2009 French film directed by Christian Carion, starring Guillaume Canet and Emir Kusturica. The film is an espionage thriller loosely based on actions of the high-ranking KGB official, Vladimir Vetrov. It was released in the United States in June 2010. It was adapted from the book Bonjour Farewell: La vérité sur la taupe française du KGB (1997) by Serguei Kostine. This entry was posted in CIA, Colonel Vladimir Vetrov, Gus Weiss, William Casey, Yves Bonnet and tagged FAREWELL DOSSIER, GOSINT, Gus Weiss, Mitterand, Reagan, Vladimir Vetrov, Yves Bonnet. Bookmark the permalink.